Athens music man Adam Klein has been an unstoppable creative force in the local scene. Since 2006, Klein has released four solo records, launched his own music label and most recently, formed Adam Klein and the Wild Fires, an Americana, folk-rock group that plays all over the Southeast. The Wild Fires, made up of Steve Abercrombie on bass, Bronson Tew on drums and Michael Bowman on electric guitar, are currently working on their first full-length album with Klein. The band plans to mix and release the album later this year, along with Crash Cason, the former electric guitarist. Along with recording, the band has already begun a pre-order campaign at www.pledgemusic.com/projects/adamklein, asking fans to buy the album in advance. This campaign will help manufacture CDs and likely go towards the U.N. World Food Programme’s humanitarian work, if the band reaches 15% beyond their goal. Apart from his busy recording schedule, Klein runs Cowboy Music Angel, a label that supports his music and other locally grown acts including The Granfalloons, Bill Mallonee and Little Country Giants. “In late 2009 I started releasing music from good friends here in Athens whose music I’m crazy about, and whom I’d like to help support through the platform of the label,” says Klein. Adam Klein and the Wild Fires also make time for regular touring. Since forming in fall 2011, the band has played in Knoxville, Charleston, Asheville, Augusta and Atlanta, as well as popular local venues like the 40 Watt and the Melting Point. These tours are apart from Klein’s own solo career, in which he has traveled and recorded all over the world. His most recent album, Dugu Wolo, was recorded in Bamako, Mali. With his love for West African music and artists like Neil Young, Hank Williams and Wilco, Klein combines his broad interests to create a unique sound that echoes the style of Tom Petty. Klein’s eclectic tastes and travel experiences create a rock rhythm that transports you outside the borders of Athens and into another world. At this rate, it looks like there aren’t any music boundaries that Klein isn’t open to willingly explore. Like what you read? 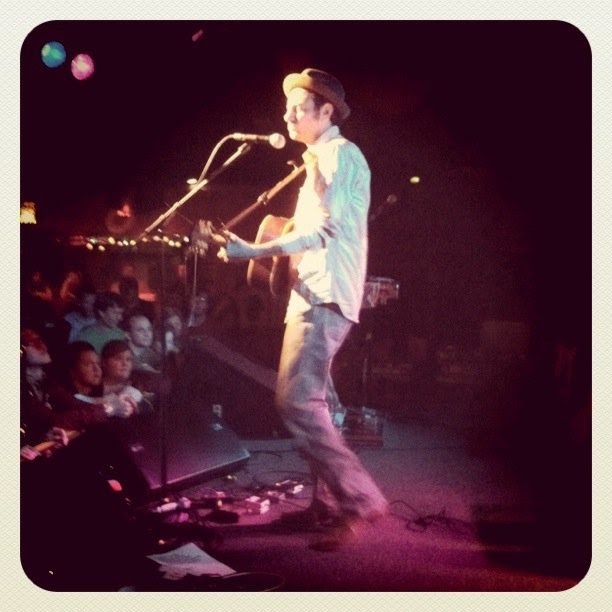 Adam Klein and the Wild Fires will perform at the 40 Watt on Thursday night, September 27th. They’ll also be playing the Mali project on Wednesday, October 3rd on the Georgia Theatre rooftop. Next Post Buzz Hungry Rides Again!